I was eager to review Rikki-Tikki-Tavi principally because of the concept. I loved the idea of an audio drama from the perspective of nothing less (or nor more) than a mongoose. I was not disappointed. 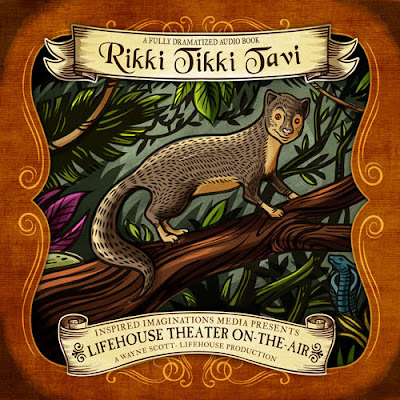 Lifehouse Theater-on-the-Air frames this classic tale of the mongoose, Rikki-Tikki-Tavi, as an allegory to the biblical story of David and Goliath. Rikki confronts two cobras who are bent on killing Rikki's new owners in order to prevent them from trampling through the snakes' garden. Lifehouse Theater-on-the-Air did a fantastic job of adapting the well-loved short story into an audio drama. They maintained the aesthetic feel of the original work while simultaneously enlivening and dramatizing it. 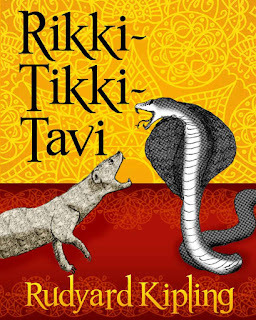 The main story is bookended by scenes about a boy who is bitten by a cobra, and while the doctor is on his way, he is told the story of Rikki-Tikki to stop him from panicking. The acting was decent, if at times some of the accents seemed false. And along with this comes the matter of sound design, which, of all the aspects of this audio drama, I felt was what needed the most improvement. Many low-to-mid budget audio dramas seem to be baffled by, or perhaps simply overlook, the problem of what it sounds like to run. Sometimes it sounds like a character should be running exceptionally fast, and yet the same canned footfall sound effect repeats on a loop. This dampens the authenticity of a scene. Technicalities and attention to detail is what sets apart great sound design from the rest. The running sound effect is just one of these examples. Nonetheless, in some scenes this Rikki-Tikki-Tavi adaptation really nails the action and adventure. As always, it's difficult for an audio drama producer to convey what is happening in a fight scene, especially one-on-one combat, especially when one is a mongoose, the other a snake, and especially when we, as a general audience, have very little of an idea of what it looks like for a mongoose to fight a snake! But LifeHouse handled these scenes well. The true strength of this audio drama came from it's story. Kipling wrote a great story with an exciting climax, and LifeHouse didn't lose one bit of it (and enhanced it) in adapting Rikki-Tikki-Tavi to audio drama form. And it's a fantastic parallel to the story of David and Goliath with epilogue and prologue scenes that, in my opinion, were better than those of Sir Malcolm and the Missing Prince (as we discussed in my last review) because LifeHouse wove the two parts of the story together exceptionally well. It's half an hour in length, with just the right pacing. It doesn't go too fast or skip over any parts of the original Rudyard Kipling story, and yet the action keeps you fastened to the story. 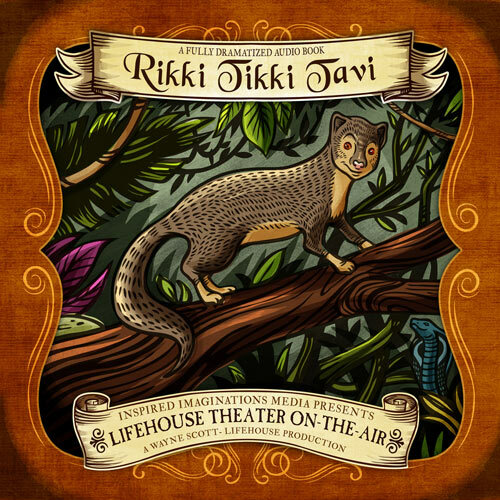 Overall, Rikki-Tikki-Tavi by LifeHouse Theater-on-the-Air was a professional, well rounded audio drama. Entertaining but also educational, as it shows what David and Goliath's fight could have looked and felt like. Kids will love this audio drama! You can get your copy of this great audio drama from one of our affiliates below! Editor's Note: This review is a post by our ATC contributor Robert Thacker. Robert loves all storytelling mediums; especially audio drama because it's so overlooked. 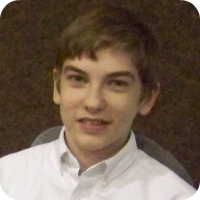 He wrote the audio drama script titled "A Search for Truth," which was produced by the creators of Jonathan Park. You can check it out at ThackerPress.com.